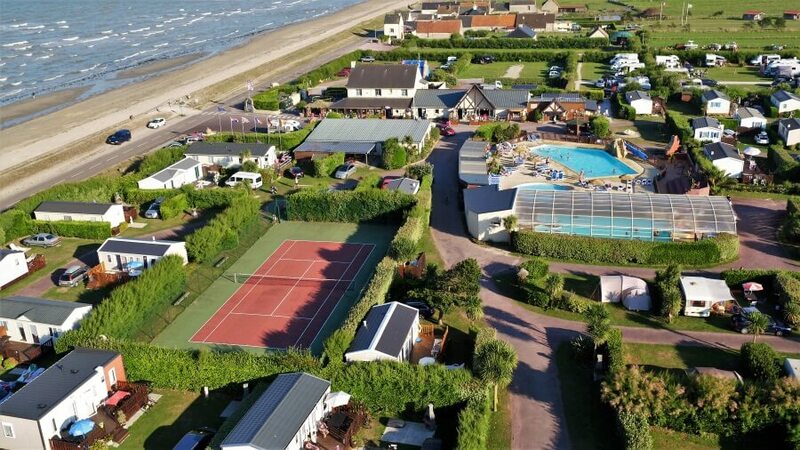 Le Cormoran is a 5 star campsite located in Normandy, at only 20 meters from the landing beaches of the second World War in the Utah Beach sector. With its 5 star services and its covered aquatic space with heated swimming-pool, our campsite guarantee you unforgettable holidays. A full range of rentals and pitches are proposed at the campsite for all needs, wishes and budgets. To guarantee your satisfaction, our campsite offers you a full range of accommodation welcoming until 6 persons depending on rentals. 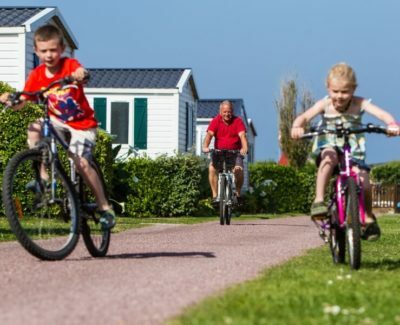 Each mobile home proposed has the necessary equipment to ensure you comfort and wellness during your stay. 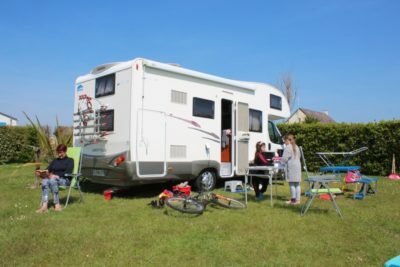 Our campsite offers you as well pitches for tents, caravans and motorhomes, going from the “Rando” pitch of 90m² to the all-comfort Premium pitch of 130m² minimum including a private sanitary. 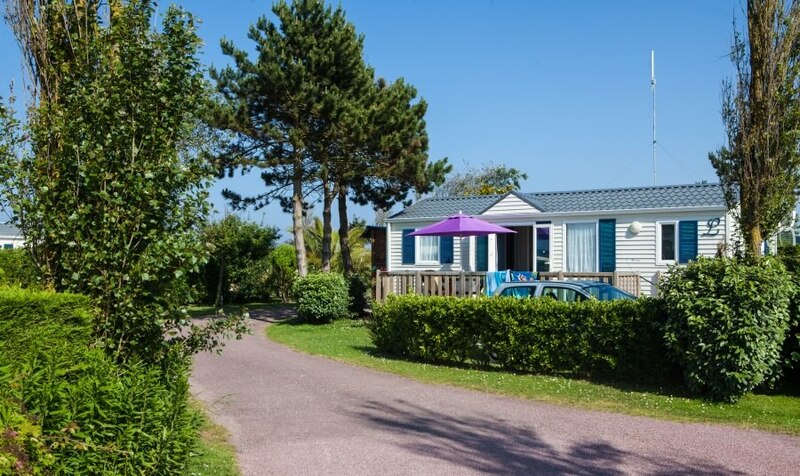 The campsite Le Cormoran welcomes you for comfortable holidays on the seaside in the heart of Normandy. 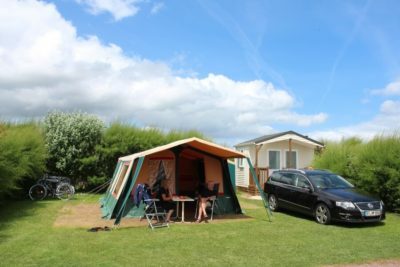 We have many types of rentals and pitches to let you find the accommodation that suits you best. This way, you will spend pleasant holidays in total peace and quiet with your family or friends. 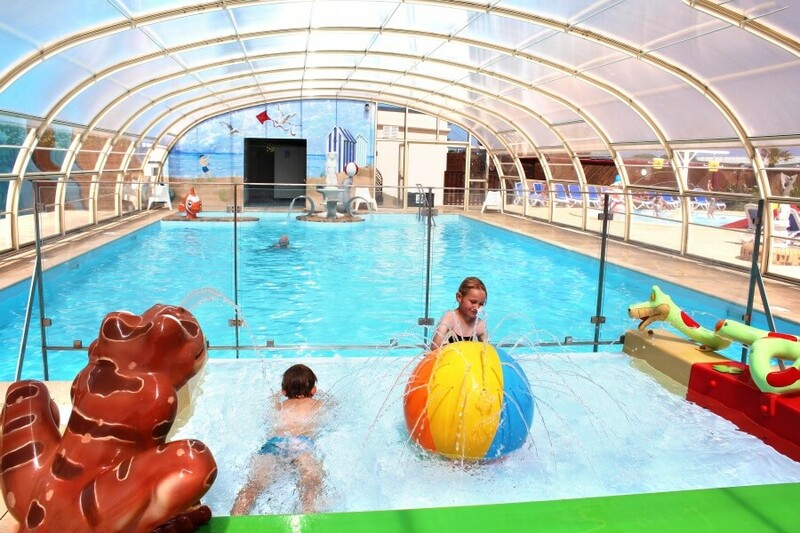 To make your stay a success, the campsite offers you 5 star services such as the access to our aquatic space with different heated pools. A warmed outdoor pool to enjoy the sunny days in Normandy, with a slide for the great delight of our holidaymakers, and a fun paddling pool for the youngest. 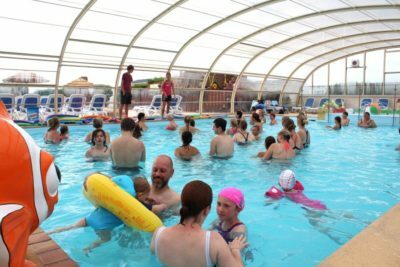 There’s also a heated covered pool with colorful paddling pool to enjoy a maximum your Norman holidays. There is a bubble bath in the indoor pool to unwind and have a good time with your family. Comfort and relaxation guaranteed! 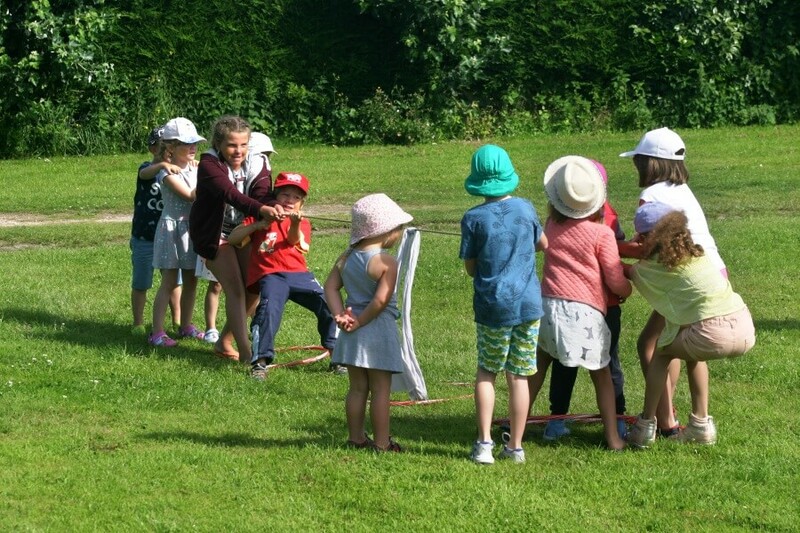 Our family campsite is pleased to welcome your children in the Kids club in high-season. Our entertainment team will be glad to propose them activities and games in the morning. They will take part in fun activities and meet new friends. Other kid’s activities are proposed all day long. 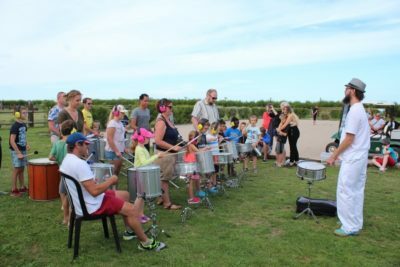 Your children will have a great time as well in the areas specially dedicated for them: inflatable castles and playgrounds with different structures like trampolines in free access at the campsite. Come and experiment water activities, fitness program or “dance and music” sessions. 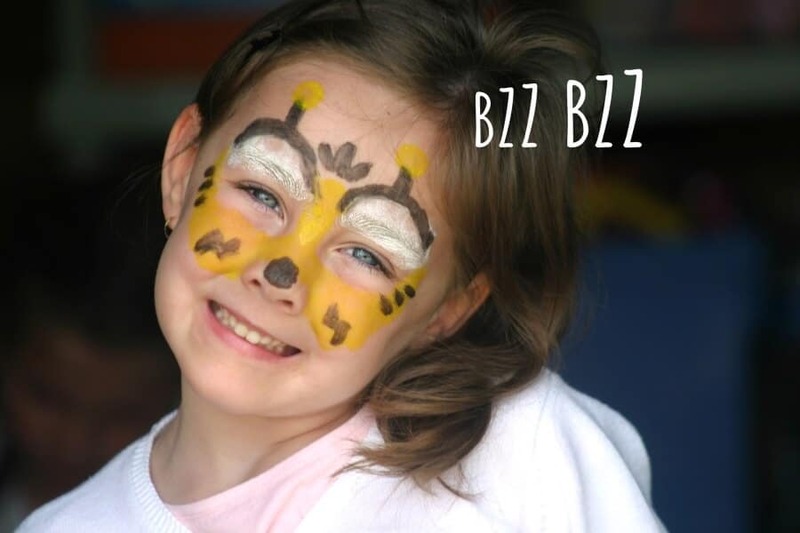 Games and tournaments are also planned to spend unforgettable moments with your children. 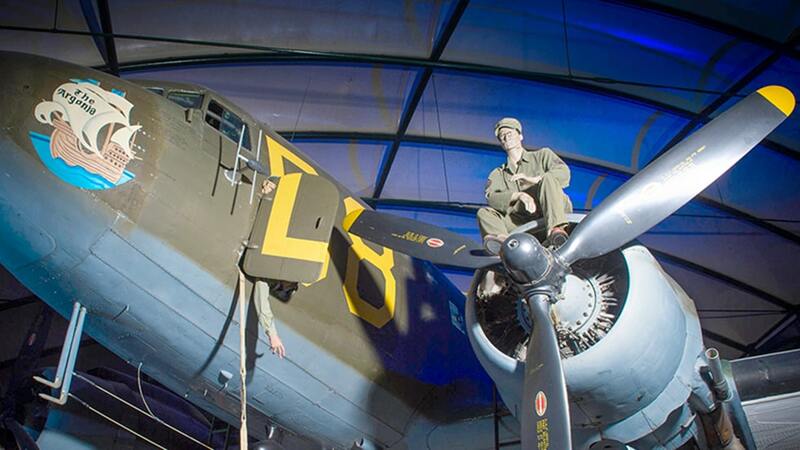 Relive the Normandy landing by visiting the Airborne museum of Sainte-Mère-Eglise. An extraordinary immersion following the steps of American paratroopers who landed on June 6, 1944. Dive into the submarine adventure of la Cité de la Mer in Cherbourg ! 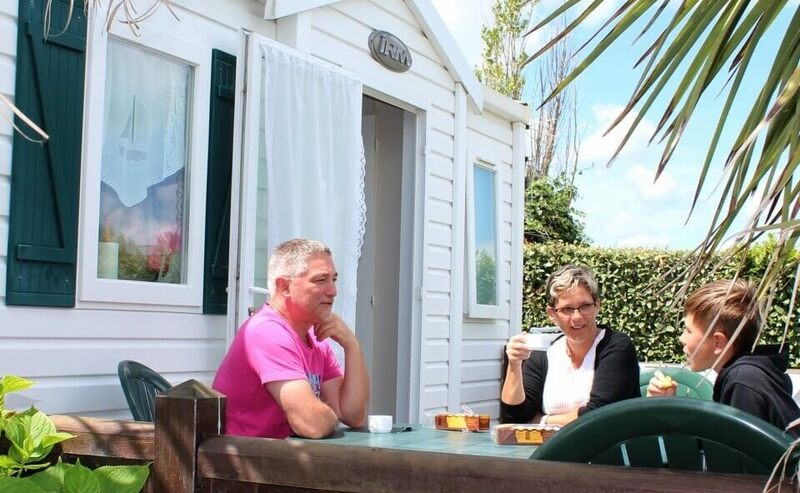 Explore the seabed for a weekend while comfortably settled in one of our mobile homes. 5 GOOD REASONS TO COME ! Situated between sea and countryside, the campsite allows you to discover several aspects of Normandy. 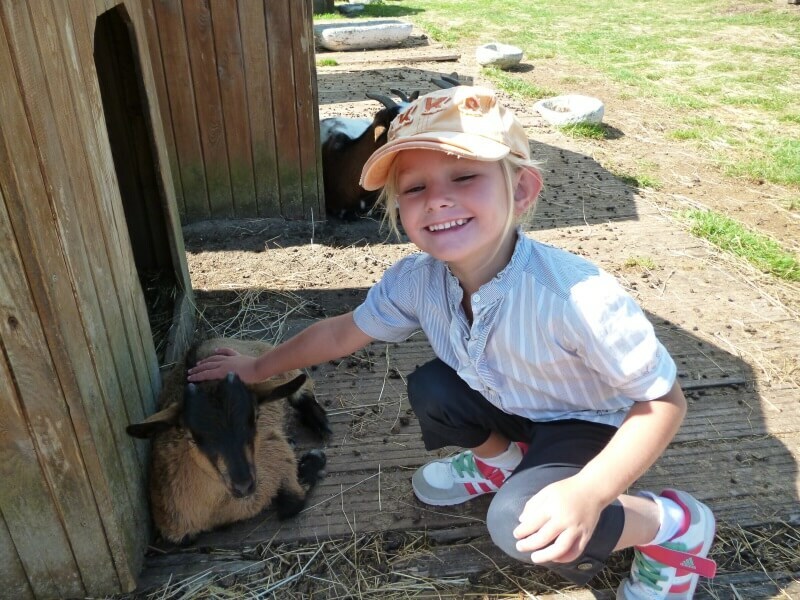 Spend unforgettable holidays in the heart of the Norman countryside thanks to our mini-farm on site. It is the favorite attraction of children with its dwarf goats and poultry house. Visit the Norman marshlands by boat or the many parks and gardens around the campsite. 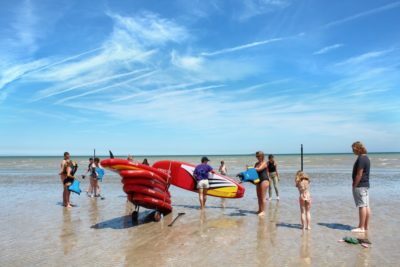 The campsite is also located at a few meters away from one of the most famous landing beaches : Utah Beach. Perfect to learn the second World War history and all the secrets of the landing. In Normandy, you will find as well a wealth of museums tracing the D-Day story. But the discovery of the region doesn’t stop there. 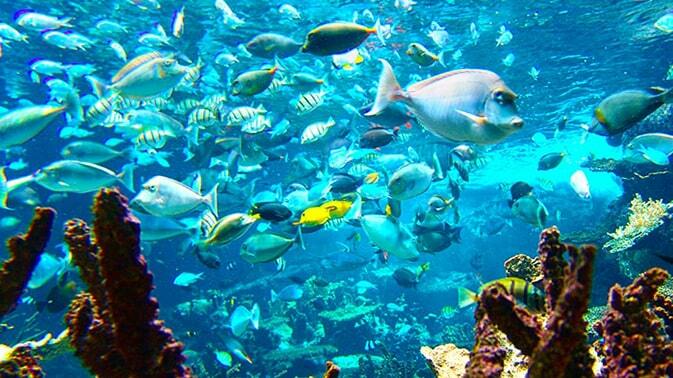 Other touristic and cultural sites are waiting for you. The Mont Saint Michel and its bay are part of World Heritage by UNESCO and are an unescapable visit. Enjoy great walk at low tide if you want to cross the Mont Saint Michel bay and experience quicksands. 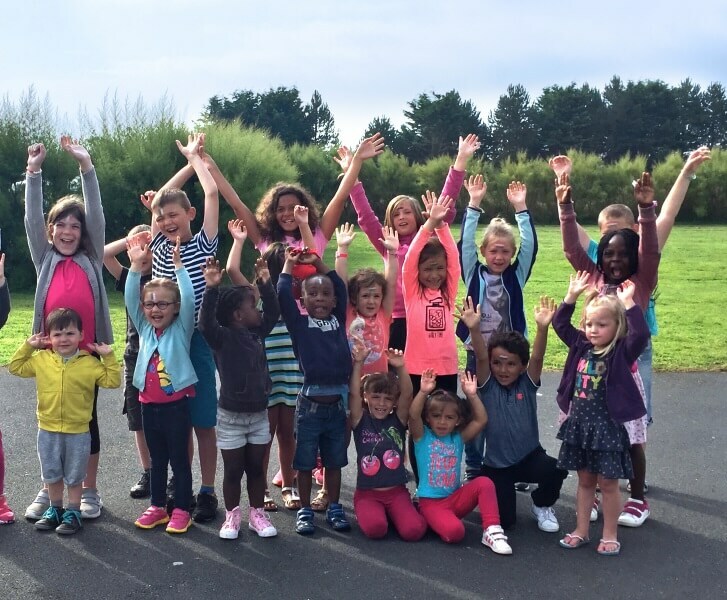 Other museums are nearby the campsite, like « La Cité de la Mer », which is a marin museum in Cherbourg. You will be able to walk through the former nuclear submarine “Le Redoutable” which will fascinate all the family.  If you want to add some culture to your stay, the Channel Islands will offer you very nice walks (available from the harbor of Carteret). Our region offers as well many other activities to do with your family or friends such as golf at the Golf of Presqu’île du Cotentin and its breathtaking view on the sea, treetop adventure to be as close as possible from nature and even Aerofeather (machine allowing you to fly wing flapping) at the Zeppelin hangar of Ecausseville, to spend unforgettable moments in Normandy. Transactions realized on this site are secure. Get further information about booking on our Prices page.